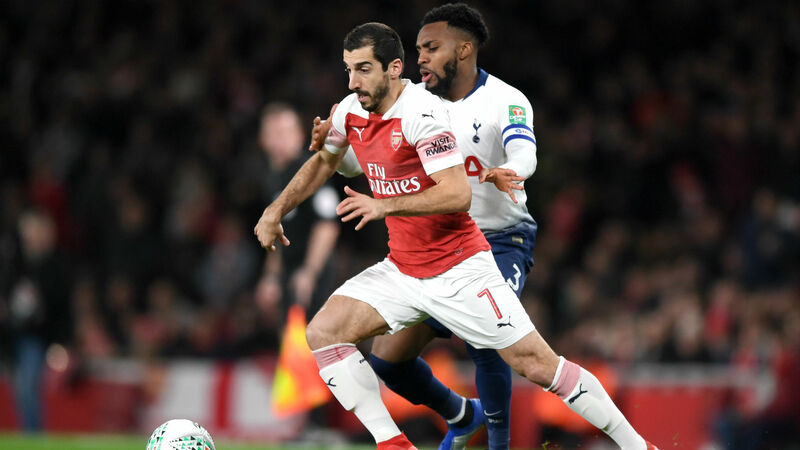 Arsenal expect Henrikh Mkhitaryan to return to training next week after a month out with a fractured metatarsal. The Armenia international suffered the injury during last month's EFL Cup defeat to Tottenham, forcing him to come off at half-time. It was announced on Christmas Eve that the midfielder would be out for six weeks, ruling him out until February. Arsenal said in a statement that they predict the former Manchester United forward will be back training with his team-mates within the week, though he is still unlikely to feature competitively for Arsenal until next month. Mkhitaryan joined Arsenal in January 2018 in a deal that saw Alexis Sanchez move to United.